46mm butterfly specially provided to home care products manufacturer for packing phynial. Annual Turnover2015-16 Rs. 10-25 Crore Approx. 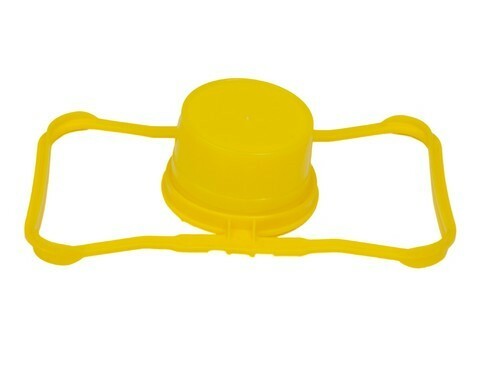 Established in the year 2004, we offer a wide range of Plastic caps and clousers, CTC caps, Spout caps and Plastic jars etc. These are manufactured using quality raw materials which are procured from reliable sources and checked by our quality inspectors at every stage of production. To gain the trust of our customers, we always ensure the quality that is maintained by our quality inspectors who follow migration test, appearance test, strength test and torque test. Due to the quality of our range of products, these are extensively used in oil, spice, pickle, mineral water, and tea, honey & confectionery industries. Being in this industry for more than 5 years has enabled us to understand current market trends and changing requirements’ of our esteemed customers. We satisfy our customers by offering full customization as per their specifications.